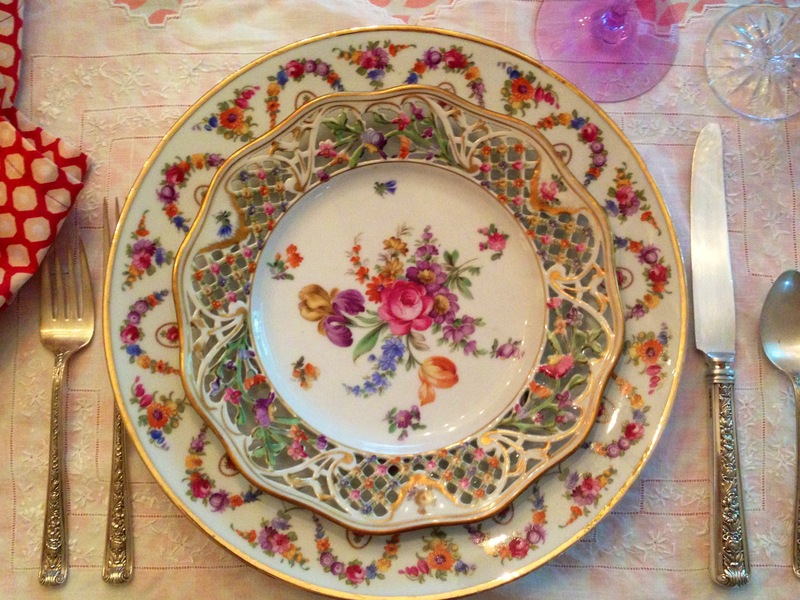 This tablescape features a very special family heirloom, a beautiful set of antique German porcelain dessert plates that belonged to my husband’s Nan. I was touched to receive them and ironically, they feature the same pattern as a set of dinner plates I found at Summit Antiques Center a few years back- I think they look beautiful layered. The set is back stamped with the Schumann shield mark and “Dresden, Schumann, Bavaria”, which should date to c1918-1929. 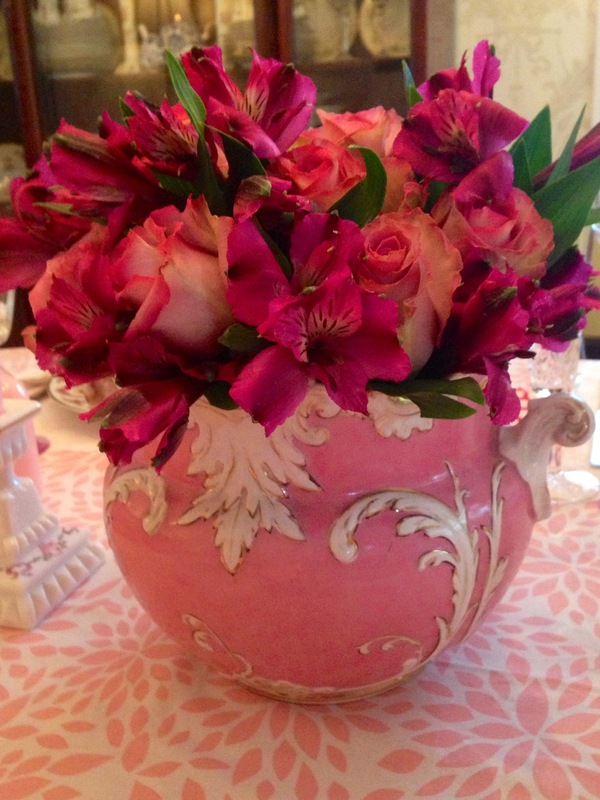 I carried the color scheme into the centerpiece by filling this vintage Victorian pink and white cache pot (from Summit Antiques Center) with pink and raspberry colored flowers. 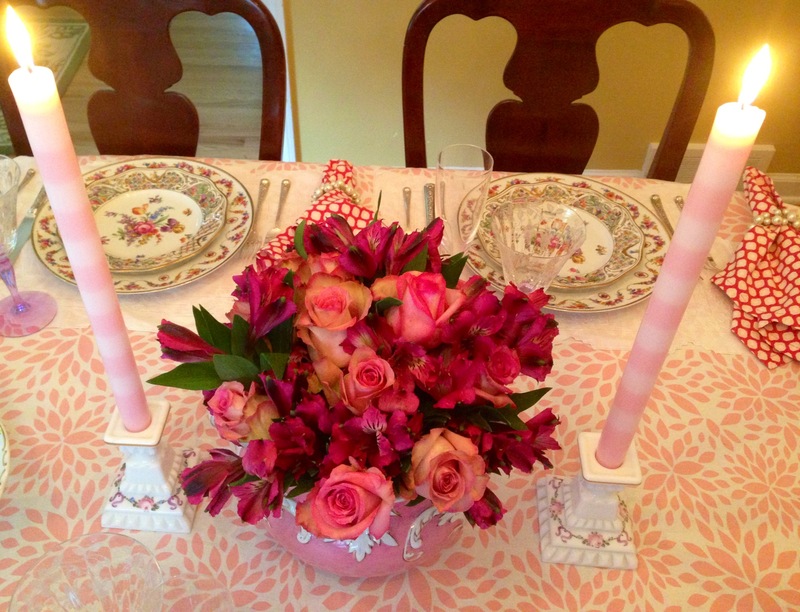 The flower arrangement is flanked by a pair of Westmoreland milk glass candlesticks that are hand painted with a border of pink roses, violets and purple ribbons (purchased at an antique shop in Chatham, Cape Cod, Massachusetts). 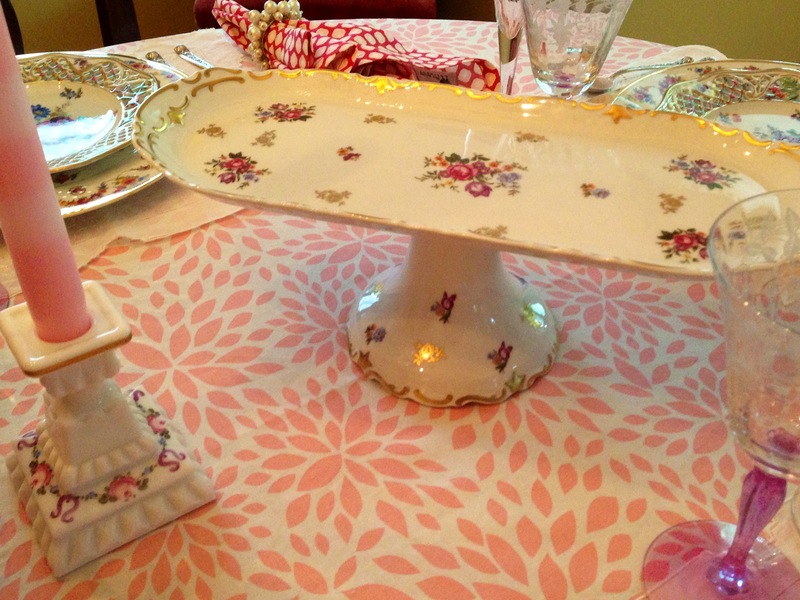 I found this beautiful vintage serving tray at Home Sweet Home in Chatham, NJ. 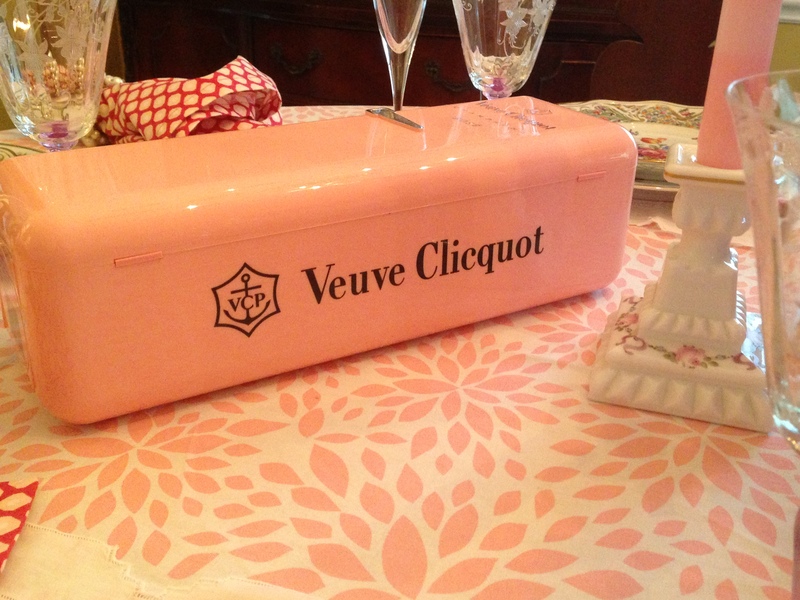 How can I resist taking out some pink bubbly in that signature Veuve case! 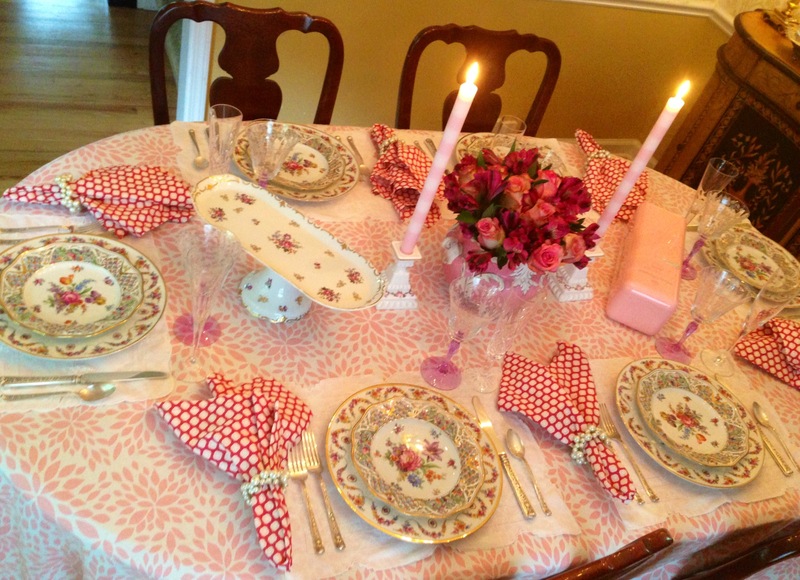 This is an absolutely beautiful tablescape! 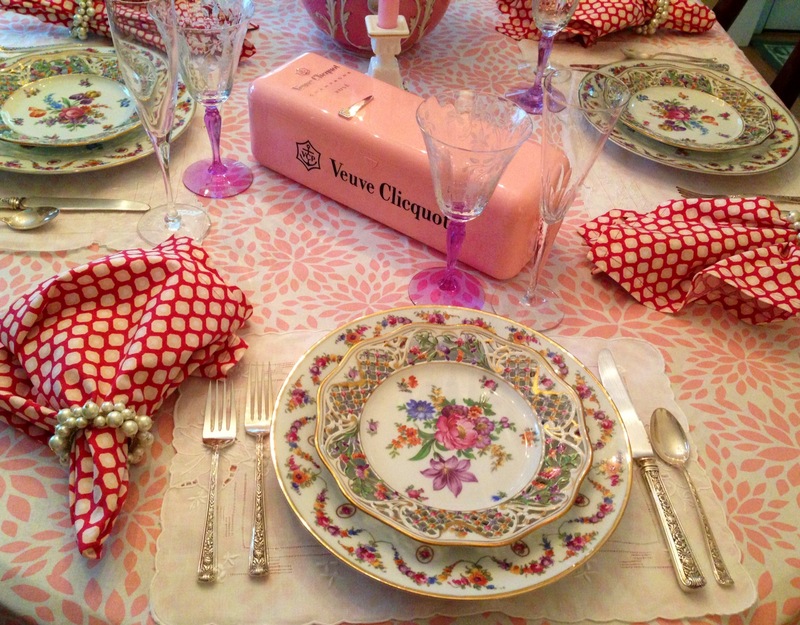 Wherever did you find your engraved pink stemware? You have done a wonderful job of highlighting all your treasures! Oh my Word, you table is simply STUNNING!!! The heirloom salad plates are gorgeous and the ones you found later are perfectly and go together beautifuly…don’t you just love it when this happens?! 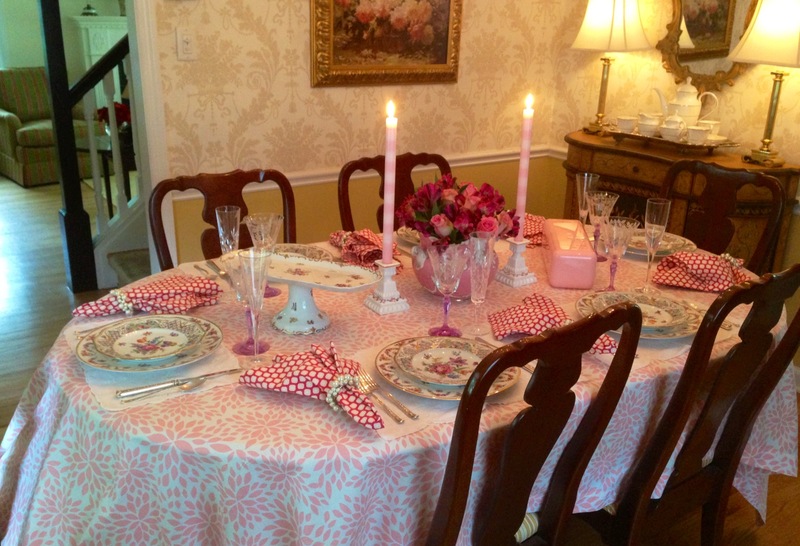 I love everything in this table as the candle sticks, so lovely and dainty. The stemware is magnificen too! I’m smitten with your table! Have a wonderful weekend ahead. 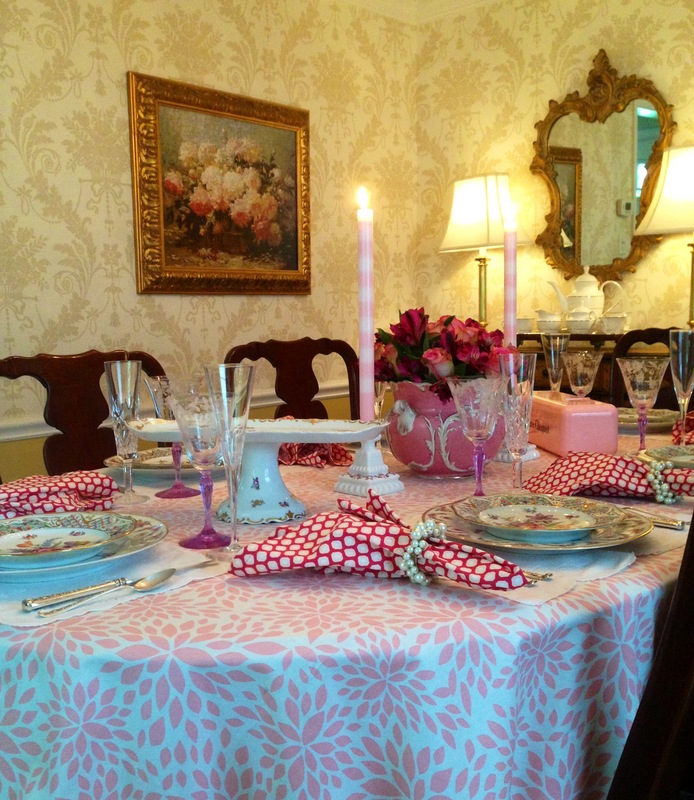 Oh….I must mention that the flowers and flower vase are beautiful and so is the vintage tray…SO THERE, I’VE SAID IT!!! What gorgeous china!!! How lucky for you to have inherited it and even luckier to find pieces to add to the set. 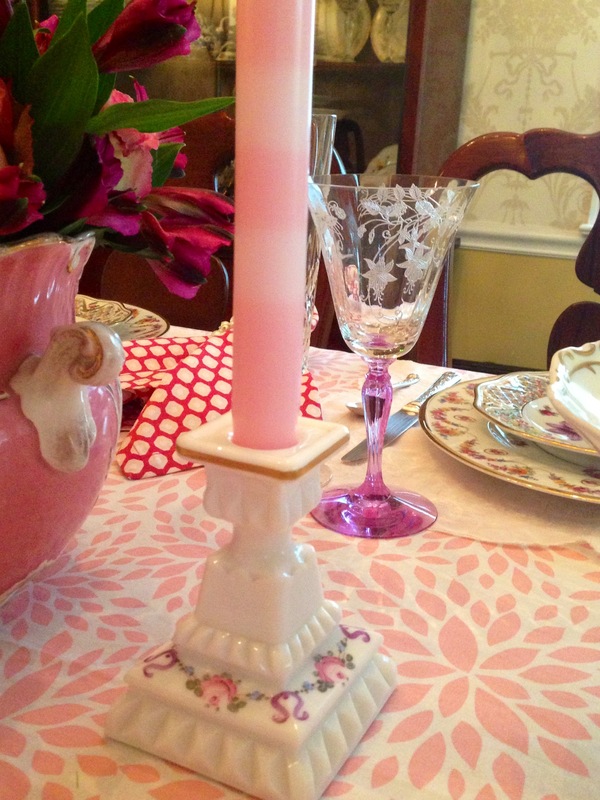 I have been to the Summit Antique Center and they do have some wonderful things.